In 2011, American shoppers spent more than $200B online. According to Forrester Research that number is growing rapidly; the firm predicts that by 2016 Americans will spend $327B annually shopping on the Web. Although eBay and Amazon.com attract the lion’s share of consumers, plenty of independent vendors and entrepreneurs are getting in on the “etail” space by setting up online stores. And thanks to the prevalence of free, open source ecommerce tools, this is easier than ever. Because the best free ecommerce solutions also happen to be open source, it’s important to understand a couple of factors going in. First, open source software varies greatly in its ease of installation. Some products are geared toward users with little-to-no programming experience, whereas others require a developer’s background to implement. Second, after you’ve installed the software you may encounter technical problems. When open source products are free, you don’t generally have the luxury of calling up tech support and getting a quick solution to your problem. To address this, some open source ecommerce vendors allow users to upgrade to premium/commercial accounts that include customer support, or offer paid support services for their free products. Alternately, you can dig through the code and troubleshoot the problem yourself, or open up your question to the product’s user community. One of the great benefits of open source is that projects are usually backed by legions of enthusiastic users/developers who are ready and eager to lend their knowledge. More than 125,000 online stores use PrestaShop as their ecommerce solution. It’s free and open source, written in PHP and licensed under the OSL ver. 3. Its robust API supports payment options including Google Checkout, PayPal, and Authorize.net. PrestaShop is not a flimsy solution; it includes 300+ standard features ranging from catalog management to SEO, shipping, marketing, taxes, and analytics. Check out a demo of PrestaShop under the “Discover” tab on the site to explore the backend features and UI, as well as the front-office look of a sample store. LiteCommerce is a free open source ecommerce CMS package, written in PHP with Drupal integration. LiteCommerce is available in two versions—the Ecommerce CMS package and the Stand-Alone package. The former includes the full ecommerce product, along with a Drupal 7 download, which gives new users all the resources they need to get an ecommerce website off the ground. Alternately, the stand-alone version is designed for those who already run a Drupal 7 site, or who would like to create a simple online store. 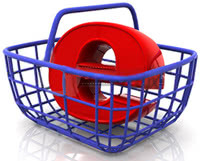 LiteCommerce supports a variety of payment methods, including PayPal, Moneybookers, and 2Checkout.com. LiteCommerce also offers a demo feature, which provides a valuable window into the look and usability of a LiteCommerce shop. OpenCart is a PHP-based open source ecommerce solution. It features easy installation and setup, so you can have your store up and running minutes after downloading. Some nice features of OpenCart include pre-built design templates, multi-store administration, provisions for different tax rates, a multitude of payment gateways, and SEO optimization. You can demo the storefront and administration dashboard on the OpenCart website. Spree is a stylish Ruby on Rails-based ecommerce solution licensed under the New BSD License. Spree caters to users with an advanced level of Ruby on Rails experience. Users can fully customize the look of their store as well as the checkout process. On the backend, Spree offers intuitive, flexible tools for managing products, orders, and shipping information. Spree is backed by an active developer community, and users have the option of adding third-party extensions to their stores to leverage additional features and functionality. VirtueMart is another PHP/MySQL open source ecommerce solution. VirtueMart was developed explicitly for Joomla! websites, and works best with those bringing in low to medium traffic. VirtueMart is also mobile via an iPhone and Android app from iVMStore. The mobile functionality is not free, but is a useful extension for anyone interested in creating branded mobile versions of their store. Magento is an open source ecommerce application written in PHP with cross-platform compatibility. As of February 2012 the Magento ecommerce platform had been downloaded more than 4 million times. Users of Magento range in size from smaller shops to large enterprises, including Nike, Lenovo, Olympus, and the North Face. Magento is available in three versions: Magento Community, Magento Enterprise, and Magento Enterprise Premium. Of these, only the open source community edition is free. Although not a shopping cart, Stitch is an interesting ecommerce application for small, product-based business owners. Stitch is a multichannel inventory management solution that gives businesses a centralized way to keep track of their orders and inventory in real time. This means that if you’re selling products on Etsy, Shopify, and in person, your inventory will always reflect changes as they happen. Stitch is free forever for users who only require one integrated sales channel, and doesn’t require your credit card information until you add 2 or more channels. The software was developed by San Francisco-based Stitch Labs. For more information about Stitch, read our Q&A with Stitch Labs co-founder Jake Gasaway. Looking for next steps? Check out our comprehensive Ecommerce/Retail Management resource page and our Top 10 Retail Management software report.